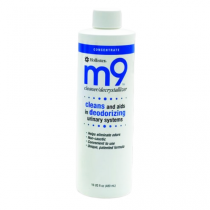 Ostomy Appliance Cleaners SALE Decrystalizer, Deodorizer, Ostomy Cleanser. 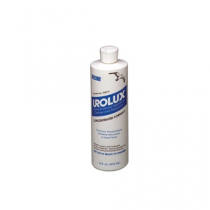 What Are Ostomy Appliance Cleansers? Ostomy Appliance Cleansers are products that can effectively help cleanse and deodorize ostomy bags, pouches, skin barriers, flanges and skin. Many regular cleaning products are not suitable for cleaning or deodorizing ostomy appliances and can negatively affect the lifespan of your ostomy products. Specialized ostomy and stoma products can extend the life of your ostomy appliance and keep your skin and stoma healthy. Clean and deodorize your appliances regularly. 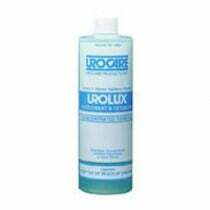 There are several different types of ostomy cleansers and deodorizers available. 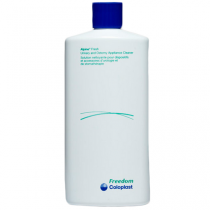 Depending on your needs, you may prefer a simple ostomy cleanser, a cleanser and deodorizer or a cleaner decrystalizer. Each one of these products can help effectively combat calcium and urine build up while eliminating unwanted odors associated with ostomy appliances. Pouch deodorants are designed to eliminate ostomy odors from inside the pouch. Some of them kill odor-producing bacteria, while others are scented or unscented. Most ostomy odor control products are drops or tablets that go into the bag vs. a deodorant spray used when changing or emptying the bag. Some ostomy cleansers and deodorizers also lubricate the ostomy appliance to help prevent pancaking (when stool gets stuck on the top portion of the bag).